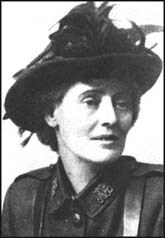 Constance Markievicz was a freedom fighter who dedicated her life to ending British government in Ireland. With the new Irish government, Marievicz held the position of Minister of Labour. 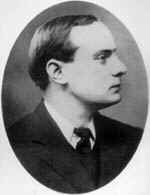 Patrick Pearse was born in Dublin, Ireland. He completed his degree in Arts and Law at the Royal University in 1901. He and his brother, Willie, passionately fought for Irish Independence. His great love was a young student who drowned in a tragic accident. Pearse was an accomplished Irish writer who was editor of the Gallic League's paper, An Claideamh Soluis (The Sword of Light). He also founded the St. Enda's School in Country Dublin. Yeats refers to Pearse in "Easter 1916" as the man who "had kept a school / and rode our winged horse" (24-25). The "winged horse" represents Pegasus, a figure from Greek mythology, which suggests Pearse's skill as a writer. 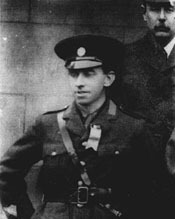 Thomas MacDonagh studied the Irish language and met his fellow revolutionary, Patrick Pearse, through his involvement with the Gallic League. He joined the teaching faculty at Pearse's St. Edna's School in Country Dublin. In addition to his involvement in education and the fight for Irish independence, MacDonagh was also an Irish writer. Yeats asserts Pearse and MacDonagh's kinship by referring to MacDonagh as Pearse's "helper and friend"(26). Macbride was an Irish revolutionary and was married to Maud Gunne, a figure of Yeats's constant affections who was predominately featured in his poetry as the classical heroine. Although Yeats held particular grievances against Macbride as a man who "had done most bitter wrong / to some who were near my heart"(33-34), Yeats overcame these prejudices in order to memorialize Macbride as a heroic figure of the Easter Rising of 1916. 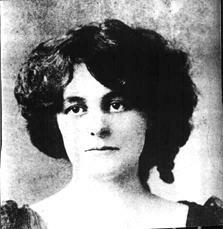 Maud Gonne was the inspiration for many of Yeats's early poems. Born in England, she later moved to Ireland. James Connolly joined the British army at the age of fourteen. 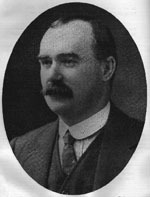 During the time he spent with the armed forces, Connolly educated himself as well as developing his interest in both Nationalism and Socialism. In the Easter Rising rebellion, Connolly was Commander-General of the Dublin Brigade.